Some news about the Walt Disney Studios' major new attraction, themed around the film Ratatouille, was released as part of the resort's 2013 annual report. 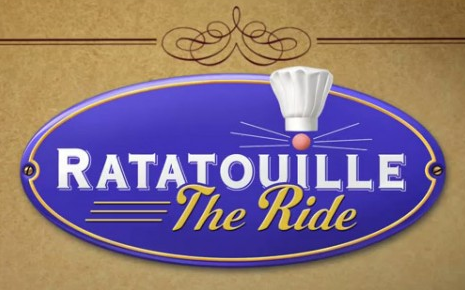 We've already known the premise of the ride, which will shrink visitors down to the size of Remy and let them "scurry through the kitchen, dining room, and walls of Gusteau’s famous Parisian restaurant, all the while trying to avoid the nemesis from the film, Chef Skinner." The attraction is a major dark ride and comes along with a new mini-themed area, technically a part of the Toon Studio section but thickly themed to Paris and quite beautiful, if you ask me. The concept art above was just released and shows off the main plaza for the Ratatouille area. For a closer look at the art and what's hiding in the image check out this post by DLRPToday. The plaza will not only serve as an entrance to the ride, but also feature a shop named Chez Marianne Souvenirs de Paris, and also a restaurant (of course!) named Bistrot Chez Rémy. The restaurant is said to be "rat sized," so I would assume the larger than life surroundings found in the attraction will carry over to the dining establishment. As a part of starting to promote the ride, the Disneyland Paris Resort has also released this short preview video for the ride. Since I won't be in Paris anytime too soon, I'll have to await video of the new ride to check things out. It sounds like it has a lot of potential and I hope it lives up to that! There's no doubt that Imagineering can still produce an amazing ride considering what they did with Mystic Manor in Hong Kong - I guess it just comes down to the budget! Fingers crossed.